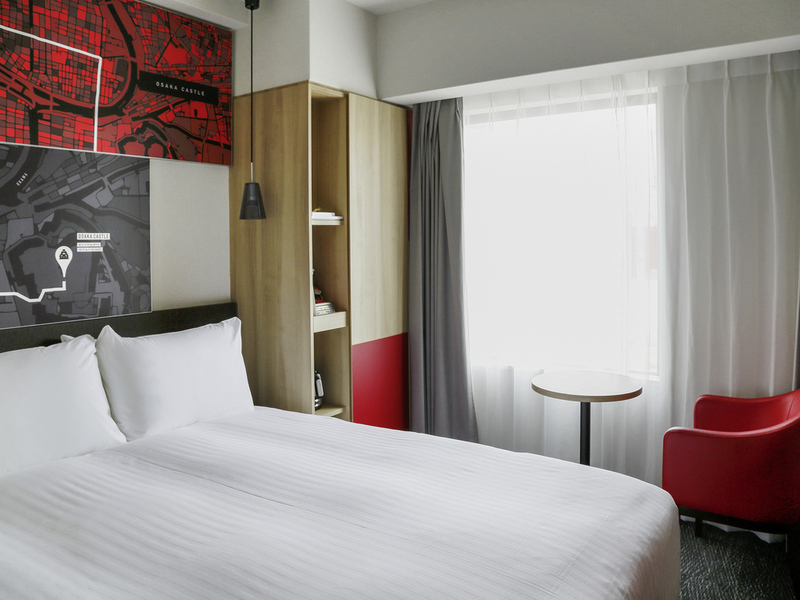 Ibis Osaka Umeda is located at the centre of the business and entertainment areas of the busy Umeda district in Osaka. It is 5 min by foot from JR Osaka Station and Umeda Station. The hotel offers easy access to all major landmarks including Universal Studios Japan, Osaka castle, Aquarium Kaiyukan, Umeda Sky Building, Grand Cube Osaka and Congres Convention Center. The city is near Kyoto, Nara and Kobe. The hotel is 5 min by foot from JR Osaka Station and Umeda Station, with easy access to all major landmarks including Universal Studios Japan, Osaka castle, Aquarium Kaiyukan, Umeda Sky Building, Grand Cube Osaka and Congres Convention Center. All rooms are inviting, modern and cozy, with comfortable beds. The hotel is an International economy brand hotel located in the Umeda area. Enjoy a good night's sleep in the Sweet Bed by ibis. The hotel is in a prime location for shopping and business in Umeda. The economy hotel is perfect for business and leisure travellers. The Standard Double Room features a Double bed, flat screen LCD TV, work desk and free WIFI. The Standard Twin Room features 2 Single beds, a flat screen LCD TV, work desk and free WIFI. Enjoy a variety of food and drinks within our contemporary restaurant, which is equipped with free WIFI facility. The restaurant is non smoking.